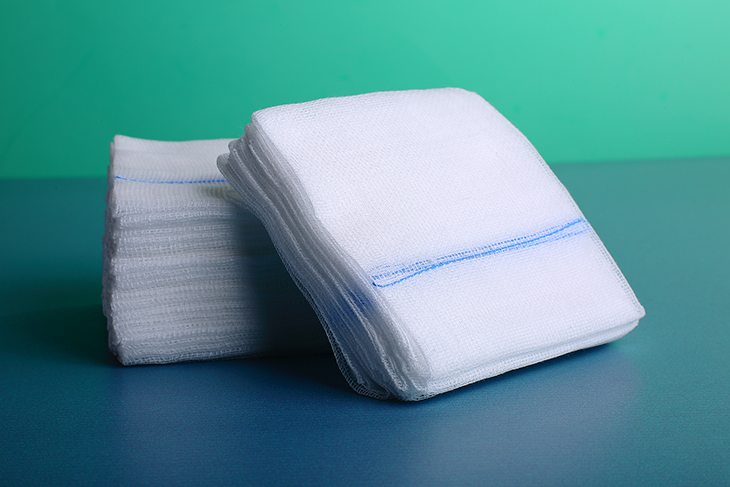 Made from 100% natural cotton, Folded/without folded edge, colour-white, available mesh count , yarn,. 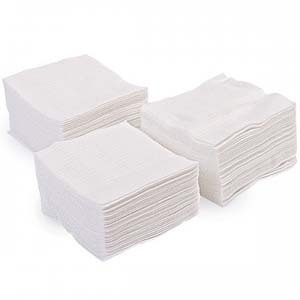 High absorption capacity, bleached with hydrogen peroxide for high absorbency, made from simple cotton weave. The xray thread is crafted using 60% barium thread in blue/black colour. The x ray thread is fully integrated in to the gauge fabric by weaving in. 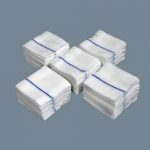 Available in non sterile bulk pack of 100 nos. Packing also available in ready to sterile packing.